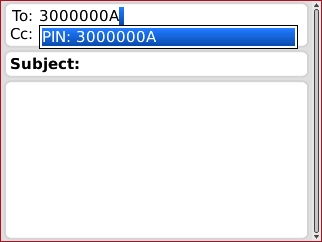 To locate the device PIN, refer to View Phone Information for assistance. 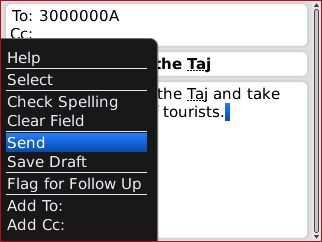 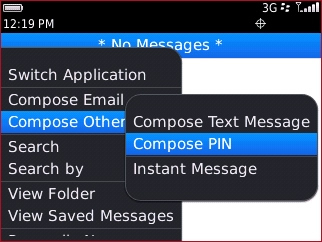 Press the Menu button then select Compose PIN. 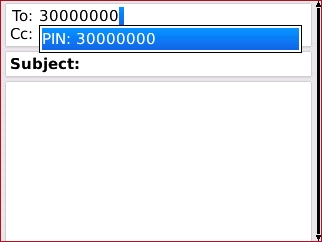 As the PIN is entered, a list from the Address Book will appear. 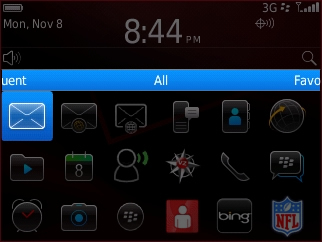 At any time the appropriate PIN can be selected from the list. 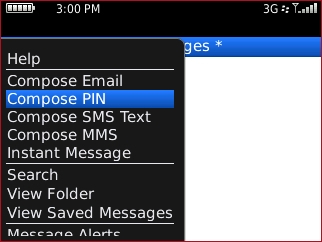 Enter the Subject of the PIN message and the message body. 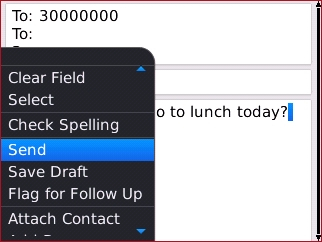 Press the Menu button then select Send. 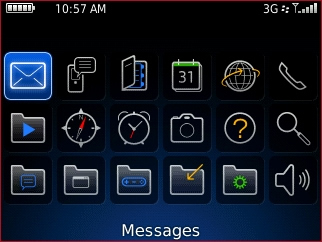 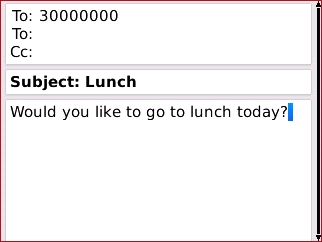 From the Home screen All tray, select Messages. 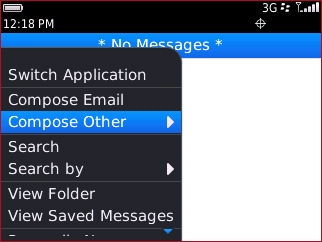 Press the Menu button then select Compose Other.